By the time the federal force arrived, the rebellion had collapsed and most of the rebels had fled. 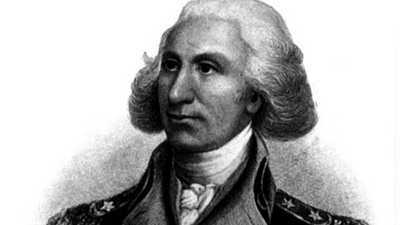 Two men were convicted of treason and later pardoned by Washington. Alexander Hamilton was elated. The fledgling federal government had proven it could keep order — a necessity if the U.S. was to avoid instability. But many, in particular Thomas Jefferson, thought that this resort to military force was a dangerous mistake. It convinced them that Hamilton was a dangerous man. Hamilton was a Federalist. Burr was a Republican. The men clashed repeatedly in the political arena. When President Thomas Jefferson closed on this $15 million real estate deal with French Emperor Napoleon Bonaparte, his stock began to rise. 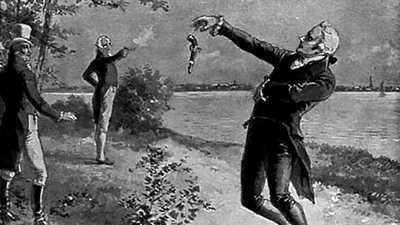 Alexander Hamilton's father-in-law, Philip Schuyler was defeated in one of the earliest clashes between Hamilton and Aaron Burr — the 1791 battle for one of New York's seats in the U.S. Senate.